Saponin is a group of compounds contained in natural materials that have amphiphilic properties and can reduce surface tension. The reduction of surface tension caused by a soap compound (Latin = sapo) that can disrupt hydrogen bonds in water. Red frangipani plant (Plumeria rubra) is known to have saponin content. The research objectives were to identify the saponin content of red frangipani plant extract (Plumeria rubra) which could reduce the surface tension. Part of red frangipani plant (flowers, leaves and stems) was extracted using five kinds of solvents. Each of the extracts obtained was then tested for saponin content qualitatively. Extract from each part of the plant (flower, leaf, and stem) which has the highest foam was selected then tested surface tension using surface tensionmat equipment. The result of qualitative saponin test showed that flower, stem and flower extract of red frangipani with aqua demineralisata solvent had the highest saponin content compared to extract with other solvent. The content of saponins in plumeria rubra extract either from the leaves, stems or flowers could decrease the surface tension with the best results obtained from the flower extract with 8,61% of Critical Micelle Concentration (CMC). 1. Dyck SV, Gerbaux P, Flammang P. Qualitative and quantitative saponin contents in five sea cucumbers from the Indian Ocean. Mar Drugs. 2010 Jan;8 (1):173-189. 2. Martin MR, Rhein LD. Surfactants in cosmetics, second edition, New York: Marcel Dekker Inc, New York. 2008. 4. Wrasiati LP. Karakteristik dan toksisitas ekstrak bubuk simplisia bunga kamboja cendana (Plumeria alba) serta peranannya dalam meningkatkan aktivitas antioksidan enzimatis pada tikus sprague dawley [disertasi]. Denpasar: Universitas Udayana; 2011. 5. Surendra KR, Sharma, Kumar N. Pharmacognostical standardisation of plumeria acutifolia (poir) bark. International Journal of Pharmacy and Pharmaceutical Sciences. 2012 Dec;4(4):54-57. 6. Sirisha K, Rajendra Y, Gomathi P, Madhavi M, Himabindu G, Aparna Y. Comperative phytochemical and pharmacological evaluation of flowers of Plumeria rubra L. F. Rubra and Plumerua rubra f. Lutea. British Biomedical Buletin. 2014; 2(1): 49-57. 7. Zaheer Z. Antimicrobial activity of essential oil of flowers of plumeria alba Linn (apocynaceae). International Journal of Pharmacy and Pharmaceutical Sciences. 2010; 2(4). 8. Ajit K, Indranil C, Arti S, Kopal. Extraction and evaluation of pharmacological activity of saponin extract of plumeria rubra leaves. Pharmocologyonline. 2009;1:969-974. 9. Shinde PR, Patil PS, Bairagi VA. Phytopharmacological review of plumeria species. Scholars Academic Journal of Pharmacy. 2014;3(2):217-227. 10. Devprakash RT, Gurav S, Kumar S, Mani T. An review of phytochemical constituents & pharmacological activity of plumeria species. 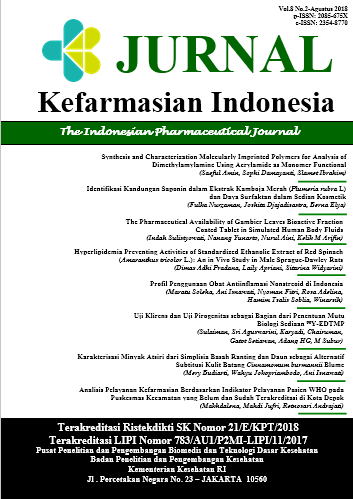 International Journal of Current Pharmaceutical research.2012;4 (1);1-6.